At a time when New York City's mayor is under fire from the soda industry for pushing for a seemingly modest reduction in drink size, one Yale nutrition expert is pushing across the board regulation of the food industry. 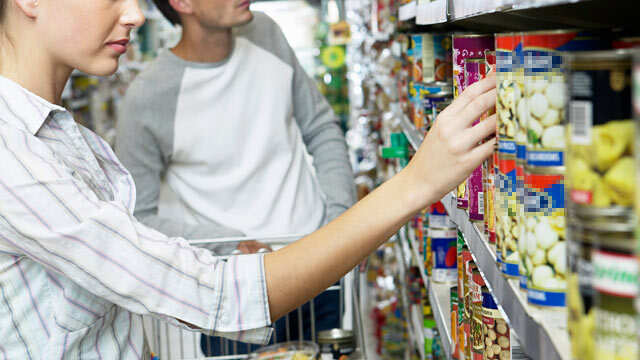 The food industry must be regulated "to protect the public good," Kelly Brownell, of the Rudd Center for Food Policy and Obesity at Yale University, wrote in an editorial published Tuesday in the journal PLoS Medicine. As American obesity rates reach all-time highs, and the food industry has been irresponsible in its marketing to children and promotion of unhealthy foods, something must be done, Brownell wrote. "The obesity crisis is made worse by the way industry formulates and markets its products and so must be regulated to prevent excesses and to protect the public good," he wrote in the editorial. And left to regulate itself, the food industry could continue to sell foods "irrespective of their impact on consumers, Brownell argued. The nation is at a crossroads where it will decide whether to work with the food industry to address key issues such as obesity and diabetes, Brownell explained to ABCNews.com. "The industry, fearful of being regulated by government, is in full scale pursuit of the public's trust, arguing it can police itself and act in the interest of public health," Brownell said. "Many industries have done this in the past and have failed, notably the tobacco industry. The question is whether food companies are any different." Most experts agreed that the food industry should be, at least somewhat, regulated, as the U.S. overweight or obesity rate has climbed to more than 70 percent, according to the Centers for Disease Control and Prevention. New York City Mayor Michael Bloomberg made headlines in May after proposing a ban on large sugary drinks. The plan would make it illegal for restaurants, vendors and any other establishment that serves food to sell sugary drinks larger than 16 ounces. If passed, the ban could take effect as soon as March. In response to the proposed ban, the American Beverage Association has created an initiative called New Yorkers for Beverage Choices, which is meant to focus on New Yorkers' "freedom of choice." Keith Ayoob, nutrition expert and associate professor of pediatrics at Albert Einstein College of Medicine, said some regulations could be helpful to the population. He called Brownell's editorial "fierce," but said he has a difficult time with the position. "Consumers have a lot more power than many realize," Ayoob said. "We in academics get annoyed when consumers don't make choices we want them to make, but forcing them to make better choices by regulation is a slippery slope." That's because obesity is a complex problem, Ayoob said. It involves food choices, but also lifestyle choices. It has been shown to not only be associated with the food we put in our mouths, but family dynamics, trauma, education, the areas in which we live, race and ethnicity, just to name a few. "There's no one culprit and there is no single solution, but saying that we're all victims of the system isn't going to work either," Ayoob said. Brownell said the best ways to regulate the food industry and combat obesity is to "create strict nutrition criteria for foods marketed to children and teens, the use of taxes and subsidies to reverse the high costs of healthy foods and the low costs of unhealthy ones, and making schools a safe nutrition environment." While some aspects of the food industry are already regulated, including the accuracy of nutrition and ingredient labels, and the types of nutritional claims that are allowed to be made, Brownell wrote that he hopes to see things go further. Dr. David Katz, director of the Yale Prevention Center, agreed that at least some regulation is warranted "to level the playing field." "Certainly food marketing to children should be regulated," Katz said. "The industry has abundantly demonstrated its irresponsibility in this space." Nevertheless, regulation is not the entire solution, he said. People must acknowledge "that some foods will be more about fun than health, that people will always eat, that eating will always involve options," Katz said. "So much of the real-world experience comes down to shaping the priorities of the consumer through culture and education." +Diet Soda: Fewer Calories, Greater Stroke Risk?